Yesterday when my iMac started up, the usual "susumi" sound was absent and the screen opened up dark instead of grey. 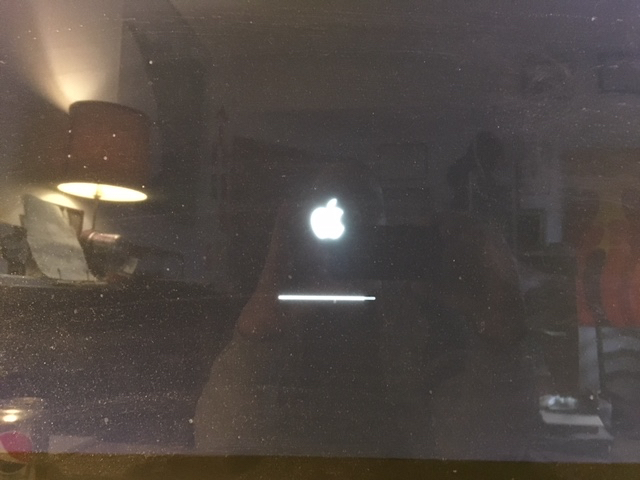 The Apple logo appeared, along with the expected progress bar. The progress bar evolved way too slowly, then stopped. After an hour it was still frozen at about 95% complete. I restarted while zapping the parameter RAM; that accomplished nothing. And rebooting in the Safe mode (shift key down) didn't help. ... but after clicking "Done" the iMac still wouldn't complete the rebooting process. But this new, crashed, iMac running OSX 10.13.something doesn't seem to offer that option. ??? Of course, his may not be a permissions problem at all. Does anyone know what might be causing this? Of possible note, I did try to option of seeking help online at Apple, and the frozen computer did connect me, so much of its guts, including web access, appears to be functional, but I just can't access stored material. My next option is to restore using a Time Machine backup. Here's where I have to offer a "mea culpa" and admit that I don't keep the Time Machine constantly attached to the Mac because my desk is so full of gadgets (printers/scanners, digital microscope, USB extender, lamp, SAD light etc. So my last complete backup was in mid-February. I can restore from there, losing a couple months of bookmarks for the blog (many hundreds of them) and various Word documents and uploaded photos. More importantly, restoring to February status will lose my entire Turbotax tax return, which I had joyfully completed yesterday. Today was to be the day to file online and submit payment. I don't know if I can retrieve the entered data from Turbotax online on this old computer or whether it's only stored on the crashed hard disk. So I am frantically looking for some way to revive the Mac with the frozen progress bar. I'll be seeking help from Apple online and perhaps over the phone. In the meantime I'm seeking help from readers who might have any suggestions for me. This isn't the end of Life As We Know It, but absent a satisfactory recovery, especially of my tax data, I'm just not going to have time to blog for at least several weeks. That continued past the 300th iteration before I finally had mercy on it and powered it down for the night. Charlie, there may be a clarification of what's going on earlier in the readout, but I couldn't find a way to scroll up to get closeup photos. Tomorrow after the Mac and I both get some rest, I'll try another Verbose boot with camera in hand. Excellent information at Robin Monks for any reader experiencing the same problem. It looks like we are back in business, boys and girls. TLDR: I reinstalled the operating system. I don't THINK I lost anything, but I'm not touching anything right now until Time Machine is finished making a complete backup of whatever's there. I'll leave some notes in the comment thread for those interested in the technical aspect of the problem and its solution. Best case scenario I'll still be busy tonight and tomorrow with taxes and eBay and stuff. TYWKIWDBI should reanimate Wednesday or Thursday. When I pushed the start button and heard no susumi chime and the screen started to open black instead of grey I had a sinking feeling. The progress bar has been frozen at 99% for half an hour. Thankfully I did get my taxes finished and e-filed just before midnight last night. Now to resume troubleshooting. Apparently reinstalling the OS was a workaround rather than a fix. Whatever gremlin is doing this is still in there. I'll be rebooting in various modes and probably ordering a USB-to-Thunderbolt or Firewire-to-Thunderbolt connector from Amazon, or else I'll just haul the iMac over to the Apple store. When the frozen progress bar first appeared, rebooting in Safe mode (space bar) didn't help. 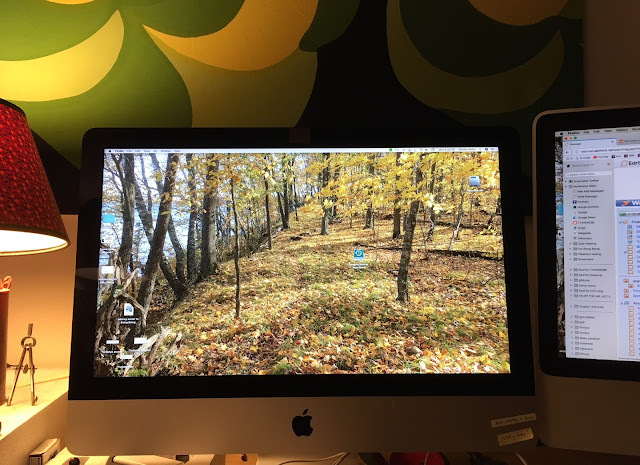 After I used the Recovery mode reboot (R) to reinstall the operating system (which incidentally also updated from OSX 10.13.3 to 10.13.4) I was able to access the desktop. Then the problem recurred. But this time (with new operating system in place) I was able to access the desktop via a Safe mode reboot. I read (or one of the readers told me) that if the problem can be bypassed by a Safe mode reboot, then the problem probably lies in the login or startup files because the Safe mode deactivates login items. So I restarted Safe mode, got to the desktop and went to System Preferences > Users and Groups to see what my "Login items" are. There were 6 of them: System Events, iAntiVirus, Microsoft AU Daemon, Adobe Resource Synchronizer, Dropbox, and SMART reporter. I started looking some of them up to see what I could maybe do without. Never did find exactly was "System Events" was. The Microsoft "AU Daemon" is an AutoUpdater for Microsoft Office. Dropbox and SMART reporter I remember as being add-ons that I never have used directly. I couldn't find a way to "turn them off and back on" so it was late in the evening and I said (literally) WTF I'm just going to delete them. Did so, pulled down the Restart command - and the iMac opened to the desktop !! I was so happy I went directly to Civilization V and finished my Genghis Khan campaign. I don't know if the problem is fixed or dormant. I could have an occult malignancy somewhere in the computer, but I'm guessing (it's only that) that one of the startup items caused a conflict with some other item that had been updated, or it became corrupted/went insane. It would be ironic if the glitch that I was calling a "gremlin" turns out to be Microsoft's "Daemon." If this problem stays fixed with this relatively simple intervention that can be performed by any elderly English major, I should probably revise the title of this post with some keywords that would be useful to others searching the same problem. So, things are working and I have a current TimeMachine backup. I also have dozens of new links for the blog that I bookmarked on my old iMac. Eventually I should probably run some diagnostics. But first, real life calls. We're getting yet another snowstorm and I have some paperwork to attend to. Barring surprises, I should be able to resume blogging on Friday. I am so sorry! Hoping you can get it all straightened out with the least headaches possible, and that you don't lose your tax stuff! I did lose some things but they did fixed it. Thank you, Jay. I did get in touch with them by email and asked if they could offer advice/assistance for which I would gladly pay $$, but they never responded to my inquiry. I'm coming from the PC end of things, but when I had a similar situation, I replaced the hard drive in the machine before restoring from backup. This gave me a functional computer, albeit with outdated files, and I was able to connect the old hard drive via an external enclosure and run recovery tools on it. Or at very least, this would get you up and running while you sent the old drive out for recovery. 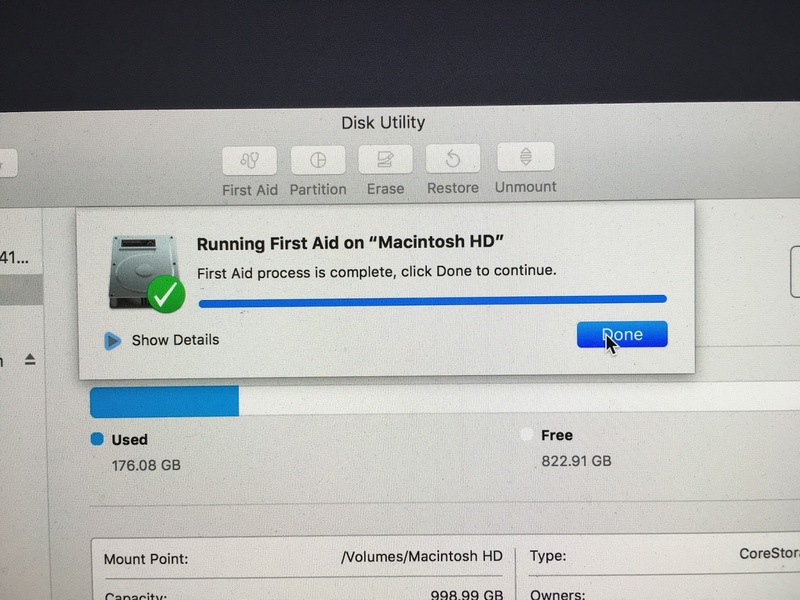 How hard it is to remove/replace a hard disk in one of those Macs, I just don't know. I don't think it's impossible. Not sure if it's available in the US but I used TurboTax online so all my data is available online whenever I need it. I simply sign in to retrieve it. Pretty sure the online version holds your data. Yes, it does. I do all my banking online so I'm comfortable with financial data stored outside of my desktop. Though I should note that I am Canadian and my data remains in Canada and is not susceptible to Patriot Act surveillance. Thatwould be my advice, too. sorry to hear of your troubles and travails! 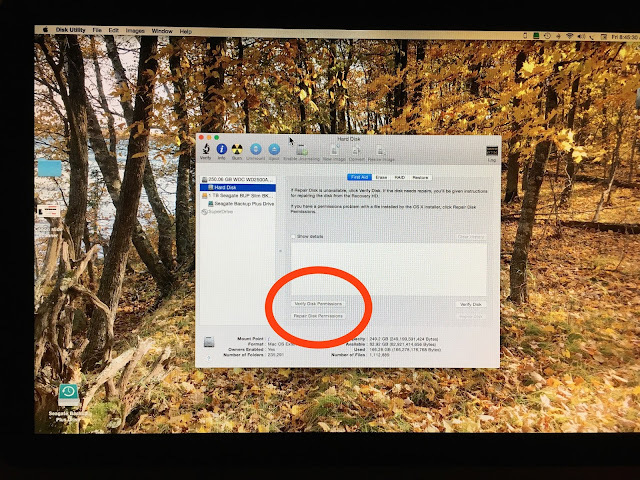 from osxdaily dotcom: "Troubleshooting MacOS High Sierra Problems." This and the other article from osxdaily are very good and have helped me in the past...osx daily is very good for info regarding all mac stuff in general...good luck! First, try Target Disk Mode to access the files. This isn't about fixing it--yet--but GETTING access to the files. 3. See if you can access the newer iMac's files using the OLDER Mac (it should show up as a mounted drive in your Finder. 4. Profit??? But seriously, did that work? The second thing I would do, after getting access to the files via TDM and moving them to a safe location (like an external drive--and then disconnecting the drive and then connecting it to another Mac and making sure the files are OK), would be to attempt repairs from the OLDER Mac using TDM. Target Disk Mode does away with Disk Permissions if I remember correctly. Some general information on it. It can be a life saver. "You might try selecting the icon for the mounted tdm drive on your desktop, then press command-i to open the get info window. At the bottom should be a checkbox labeled 'ignore permissions on this drive.' Check the box. See if that helps." 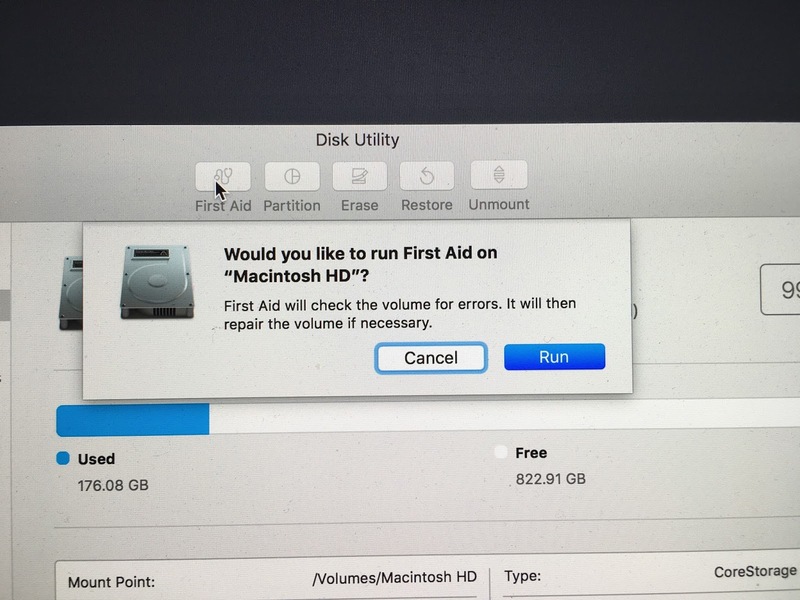 "The Disk Utility app has long contained the ability to verify and repair disk permissions on a Mac, but in the latest versions of OS X this ability has been removed. 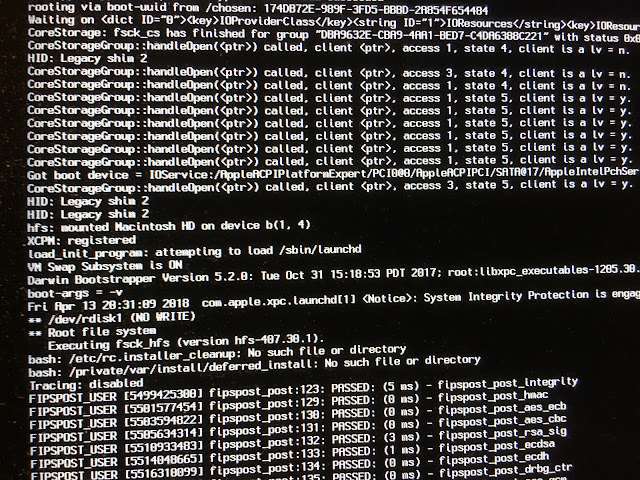 That doesn’t mean you can’t verify permissions and repair permissions in OS X El Capitan 10.11 and later however, you just need to turn to the command line to do so." When I said, "do away with" eant it in a good way, as in it disregards the permissions and gives you unmitigated access to your files. Could you access your files in the permission free land of Target Disk Mode? "You might try selecting the icon for the mounted tdm drive on your desktop..."
There are no icons on my desktop. I don't even have a desktop. All I have is that blue-black screen with the logo and frozen progress bar. The Desktop will be on your older Mac after you have booted your newer Mac into TArget Disk mode and connected the Newer mac to the older mac via USB/FireWire/thunderbolt. My second posts links to how to boot into TDM (basically hold down T while booting). 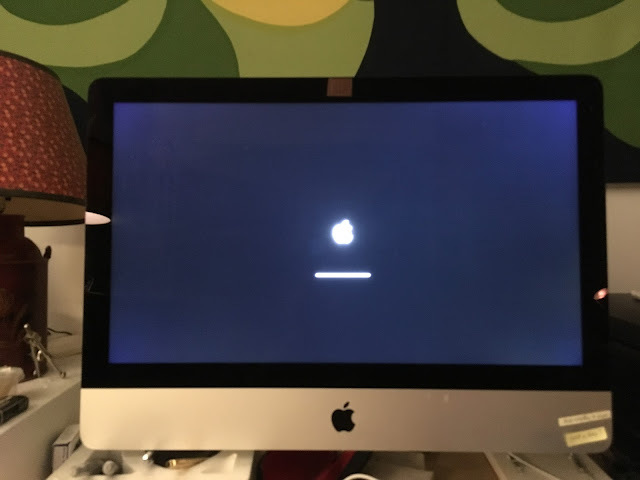 With your newer mac booted I to TDM connect it to your normally running older mac and wait for it to mount. Then you can Get info on that drive or open Disk Utility on the older mac in order to mount the newer mac that is now acting like an external hard drive (instead of a mac). TDM walks you right past any permissions issues. Or it used to. I think the option is still there (is the 'ignore permissions on this volume' option). That way you can get your data backed-up before trying to fix the drive--which could be destructive to filesystems. Did the Robin Monks Ultimate Guide fix you ? Were you able to back up (or did you need to?) with Target Disk Mode? Found my firewire in the ThisMayComeInHandySomeday, but that was only good for the old Mac. The new one demanded Thunderbolt/Lightning, so I had to zoom over to Target for a USB to Lightning cable. I'm off tonight for a fundraiser for our local library. Will leave another update tomorrow. You could continue to diagnose this a bit more. 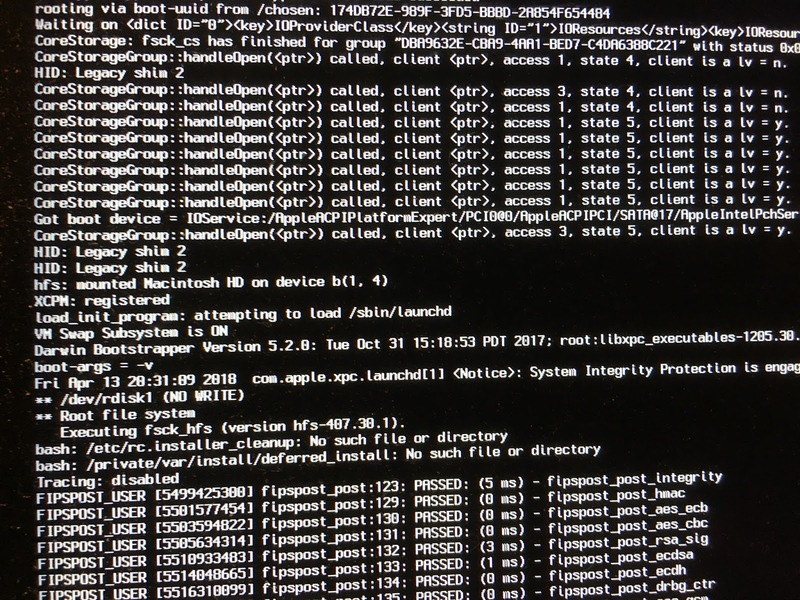 1. try booting with command-V. (verbose) and it will show you what it's doing and how far the boot got. 2. Since it safe boots this is really good news hardware wise. You can boot it to single user mode command prompt, mount the disk manually and edit the permissions and remove all the launch daemons. 3. It's possible this is a graphics card issue. You can google how to remove the graphics card kernel drivers. if that fixes it, well you might as well get anew computer. but at least you know you are done trying to fix it (it's junk effectively!) and you will be able to back up everything to a new disk!! Now onto trying to fix this. step 3: if that fails, then reformat the disk, reinstall the OS, and then copy your user data back from the backup in step 1. Many of your installed apps will now be broken bacause of missing support files, license keys, and fonts. You probably won't be able to restore these by copying them from the backup because it's a mess to sort out. just re-install them from scratch. But the first thing if you want more help is to boot verbose mode then paste the image into this blog when it stops. 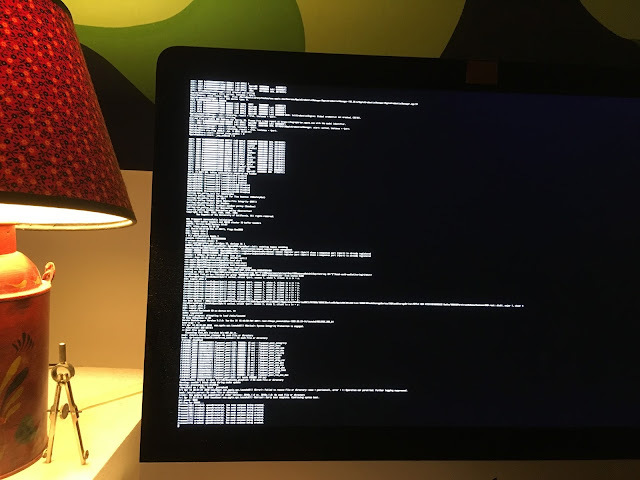 If you are clever enough you can also look in /var/log after it fails to boot normally by booting in single user mode. There you can find the system logs that show the same boot dialog as on the screen. Here's another approach that while overkill to trying to fix the problem might also turn out to be the simplest for you to execute successfully. 2. boot recovery mode and tell it to do a new install onto this external disk. (it should format this new disk-- if not you use disk util to format it first). 3. After you do this, you have it migrate your current user data from the internal disk to the external disk. 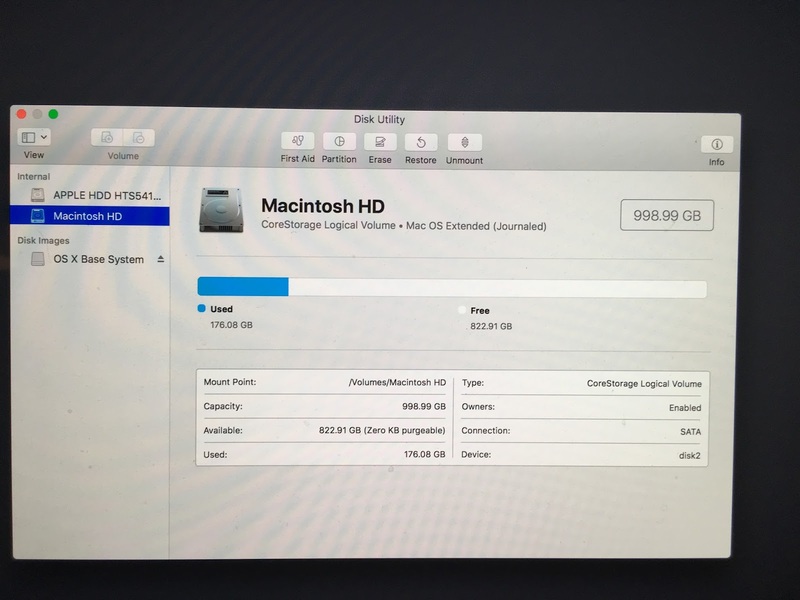 4. when you reboot it should now use the external disk and all your stuff will be there. 5. but if it defaults back to the internal disk then use recovery mode to set start up disk to the external disk. (or hold down option during the boot every time and pick the external disk to boot from). 6. if everything looks good. now you do the opposite. boot recovery mode on the external disk. erase and reinstall the OS on the internal disk. Migrate user data from the external disk back to the internal disk. One more thing. just before the migration reboot the computer once (on the extrnal drive). If it fails then you have a hardware problem (probably graphics card or maybe bad memory card if you are lucky). If it works, migrate. If it then fails, it's because oyu migrated a bad kernel driver, font, or startup daemon. This will take diagnosis but at least you have the problem corralled. Okay. I don't think there's a solid reason for this error. Speculation is that it's a bad Kext (kernel extension), possibly one incompatible with the recent spectre/meltowon firmware repair. who knows. 1. remove all the system Kexts and reboot. then put them back one by one till you find the bas ones. yuck unless you can guess which one is the problem. I've done that in-place re-install before and it has always worked safely. But it scares me to work without a net. if it fails to boot it's because something you migrated was evil. so start over and this time don't use the migration. instead manually drag over your home directory. let the rest die. sorry. Now you can do the OS reinstall on the internal drive because at least you have a backup of all your data if something goes south. if that fails. format the drive, reinstall the OS (from recovery), and then copy/migrate from the backup drive. Then .... get two time machine disks!! one is ALWAYS connected. the other goes and lives at a friends house or your garage or some place a single fire or electrical strike or burglar won't take both. Rotate the drives every few months. you already have googled "too many corpses being created" and have taken a look at what that means and how to fix it, so i will not mention doing that. You can avoid tax return problems by making the payment to the IRS by the due date. If you don't remember the exact amount, pay a bit more. Then you can file the actual form later with no penalty (and a refund if you overpaid). Call your local IRS office, and they'll give you the details. No fix today. The cable I got yesterday to connect the working old Mac to the frozen new Mac was USB-to-Lightning, but what I needed was USB-to-Thunderbolt. Guess I'll go shovel the snowstorm accumulation instead. Bummer. 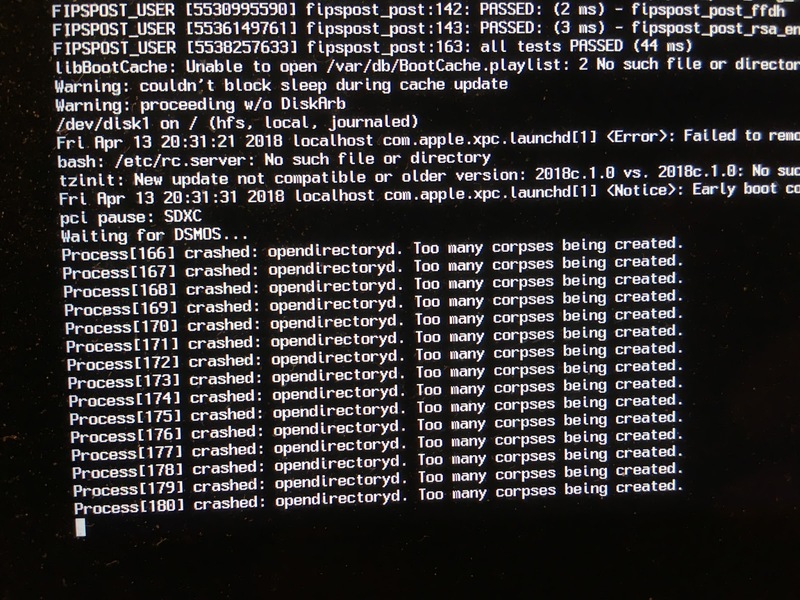 I am thoroughly enjoying the idea that MacOS requires a specific quantity of corpses to operate, and that your machine is only malfunctioning due to an excess of corpses. You appear to have a necromantic OS. Ran into a similar problem last year on my Mac Pro, never ran verbose mode, so didn't see the corpse issue, but the hard drive checked out ok. Problem turned out to be spontaneously failed memory. Had to swap out units until successfully starting again and adding memory units until it failed again to determine what was bad. Found a Thunderbolt-to-Ethernet adapter, but when I got home I realized it was just an adapter (4" long, not nearly adequate to join the two computers). Returned that and went to the Apple store, which said that USB-to-Thunderbolt cables are available. But not in stock. From a more knowledgable friend of mine: "Sounds like he tried the usual fixes without success. I just saw this (https://tidbits.com/2018/04/13/macos-10-13-4-causing-installation-log-failures/). Doesn't sound like the same issue, since he's not getting the same error message, but maybe the corpses are pulling it down before it can show itself. Anyway, there might be some useful info in the comments. Sometimes just holding down the shift key after reboot clears corrupted caches (and also fixes permissions and runs disk utility), but he seems to have tried that already. As well as clearing the parameter ram with cmd-opt-P-R."
I'll leave a final note here for anyone who encounters a similar problem. After I got back from the fruitless trip to the Apple store, I decided to take Charlie's advice to reinstall the operating system. I have a terabyte external drive, but couldn't come up with a way to save to it. So I rebooted in Recovery mode (option-R) and clicked the "Reinstall MacOS" but it said it couldn't find an operating system to install. It couldn't "see" my external hard drive, but I then realized that the computer was offline, so I went back to the Recovery mode menu and clicked the "Get Help Online" option, which in turn instructed me to connect to my WiFi, which required digging out the old password. Once the WiFi connection was confirmed I switched back to the "Reinstall MacOS" option on the Recovery mode menu. The computer went someplace and found OSX High Sierra (10.13.4) to replace the 10.13.3 I had on it before. You can imagine my delight when a fuzzy mountain appeared on the screen, followed by some prompts regarding the new system. While it was loading I saw popups from my Calendar with reminders of ThingsToDo and a notice that something had sold on eBay, so I knew things were going well. Then the Dock appeared (including the recently-added Turbotax alias) and some desktop icons. So it looks like all systems are "go." At the moment I'm doing nothing on that machine (I'm writing this on the old Mac) until Time Machine backs up everything. I don't know if the "freezing progress bar" glitch was in the operating system and is now gone, or if it resides elsewhere or maybe was just conflict that won't repeat. I'll probably have to run some diagnostics later. My sincere thanks to everyone who offered suggestions on this rescue and recovery mission (Charlie I owe you a beer or a recreational beverage of your choice). I should write a blog post about this experience sometime. Nice. And very good to hear. Then get another external, they are super cheap, and do the same thing again. But seriously, nice to be out of the woods, ay? It felt good last night, anon. But (see the appendix on the post), the problem has returned this morning. I'm also wondering if, when I used Time Machine last night to back up the system and files, I might also have saved the gremlin to the external disc. Should I be worried about accessing that backup using my good Mac? I don't think this is a virus at work, so I don't think it will transfer, but I sure don't want to freeze this old one. My Time Machine is backing up a file entitled System>Library>about a gazillion folders. But apparently it isn't backing up the operating system itself? I think Charlie suggested I should save a copy of OSX 10.13.4 to the same terabyte external disc where Time Machine saves my files, to be used for future restorations if needed. But it seems at least this time I was able to download a fresh operating system with no problems. BTW, if you're the same anon who offered advice and encouragement during "the troubles," I'm greatly appreciative of that support. If it hasn't already been suggested, please look into Spinrite as it sounds like a hard drive is in the middle of failing. https://www.grc.com/sr/spinrite.htm (this won't keep the drive from going out, but could help. I would be suspect of any files you manage to recover. Side comment. This would require the MAC to be taken apart. So bare that in mind before going forward. It booted ok just with safe mode (space key), to my normal desktop, with a popup saying "You shut down your computer because of a problem. If you want to open the applications that were open when you shut down, click Open." IIRC, that wasn't the case. 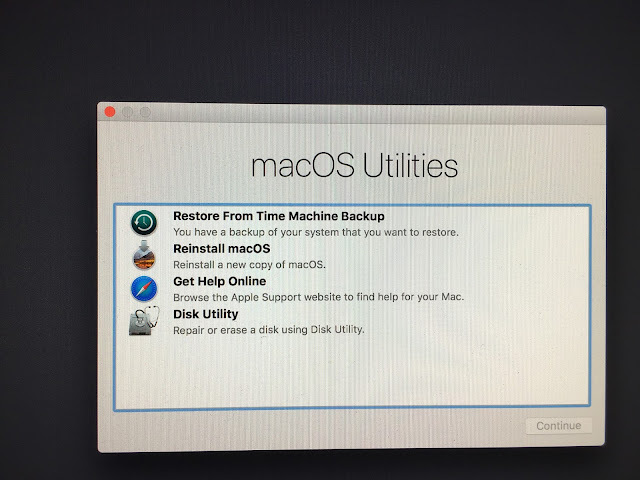 I shut it down normally from the Apple menu last night after doing the taxes and the backup..
Not sure what the implication is for the goofy start. Rebooted in Diagnostics mode (D) which triggered a program that reported "No issues found" and gave me the serial # and a reference code, suggesting that I restart again in Recovery mode and contact Apple support. Which I did. The fellow I talked to didn't know why this was happening. His suggestion was to erase everything, reinstall the operating system again without my saved backup material and see if the frozen cursor problem is still present. I'm reluctant. Will probably take the iMac to the Apple store to see if they can do some diagnostics on it. Searched some more online. Found suggestions that the frozen progress bar is caused by faulty Kernel Extensions that could be fixed by opening Terminal. I would rather try to remove my own gallbladder than try to make alterations using Terminal. Found another discussion saying that the progress bar frozen at the end is caused by "login or startup files not loading" and that Safe mode deactivates login items. That would fit my scenario. So I restarted Safe mode, got to the desktop and went to System Preferences > Users and Groups to see what my "Login items" are. There are 6 of them: System Events, iAntiVirus, Microsoft AU Daemon, Adobe Resource Synchronizer, Dropbox, and SMART reporter. Maybe I should turn those off? Don't know. Time for a lunch break. See my followup addendum #5 in the body of the post. That's a pretty standard slice of the wall of text that unix systems throw up during boot. Stan, Re: your 'login items'... not being a mac guy (or windows guy), but being a paid-to-troubleshoot guy, yes... Turn those off. If the problem doesn't re-appear, enable one of them. Try again. If it doesn't reappear, add another. Etc. When it starts failing, you've found your culprit. Nice! Correct qty o' corpses at long last. My advice for trouble shooting this is to get an external disk (or USB stick) and install a virgin OS onto this. Run the software update if needed. Do Not Migrate or copy any part of your current system to this. Reboot this multiple times. Then shut the computer down. Comeback when the computer has been cold (perhaps overnight) and then reboot again. If all this checks out then you know the problem is some part of the system you have installed beyond the basic. Now that we know you do not have a hardeware conflict with the basic operating system the next step is to look at the kexts and launch deamons. Don't worry you can move it back later as you are not deleting it just moving it. try rebooting off the bad drive. It's very unlikely this solves problem but it was a safe and needed first thing to do. Now the kexts. the hard part here is known which ones are needed and which are not. Okay now you can try rebooting to the bad disk. It's very likely this will work. If it does the next step is to try to put things back that are not the problem. you can move the launch agents back from the untrusted stuff folder. reboot a few times. All good? Now the kexts are harder. you want to move back groups of them and test till something fails. this is a pain. Or you could just live without them. it's rare that anyone is doing anything that needs a kext. and often they are where malware lurks. so bestis advice is to use your computer normally till some application complains. Okay now you have open finder windows to the bad drive where you can drag the extensions to the untrustedFolder. and you have open the Library of the goodHD where you can drag (copy) the Extensions from into the Library of the badHD. Charlie, see my Addendum #5 in the post. I have a functional system now, but I may take it in to Apple later for an oil change and tire rotation. Your help has been invaluable in this crisis. Thanks for being a reader. Glad its working. Now a few post mortem checks might be good. 1. open disk utility and click on the different drives listed on the left. Probably the upper most one but try others if that doesn't work. Depending on which OS you have installed you will either see something that says S.M.A.R.T status on the panel at right or you can click the "info" button in the upper right corner and scroll through the list to find the S.M.A.R.T. status. If it's anything other than good or normal then you immediately need to replace the hard drive (like really really soon). 2. When things boot in safe mode but not regular mode it can be a hardware problem such as a graphics card that is going intermittent on you. That would be bad. Or if you are lucky it's a buggy third party Kext. 3. Your problem isn't likely to be the startup items. those are too late in the boot process to affect things. if they were really evil you could imagine they are corrupting system files or permissions but in and of themselves they would not prevent a boot. Launch Agents and Launch Daemons happen slightly earlier in the boot cycle. The ones in /Library are safe to dispose of if need be. where you can fill in the date as string without any spaces,colons or slashes in it. that will save a copy of the verbose boot record. then If this intermittent problem persists in being a problem you will be keeping a record of what it was doing when it failed and how far into the boot it got. 6. get another disk and install the OS on it. this will really save your behind when you need it. You probably have an SD card slot on this computer. You could use this for this secondary OS disk so you don't have to have any more annoying cables on your desk or powersupply. S.M.A.R.T. status is "verified." Is that o.k. ? "verified" is what you want. (Sorry, I forgot the exact phrase since it doesn't exist on my solid state drive. ). So that's really good news. Chances are really good you have some nasty kext. (kernel extension) which means your problem is curable if annoying to diagnose. ( I'm guessing your computer is vintage 2014 or newer because you have a terrabyte drive, so youre past the era of Graphics card problems. ). The point where your computer was failing isn't consistent with a bad USB, but at some point if this recurs, unjack every USB device that you can possible unjack. Even the keyboard. to see if that matter. pretty sure it won't. really good chance this is a kext. While it could also be a permissions problem, the chances of that being the actual source of problem are low because you reinstalled the OS. Thank you, Charlie. I think I'm encouraged by your comment (and the computer is new, purchased in Sept 2017). Your guidance pulled me through a very anxious time during this past week. glad I could be of any help. keep up the good work. 100 years of polio in the U.S. Wealth inequality in the U.S.
An example of "Troxler fading"
This is a "bulbous bow"
Some would call this "political theater"
"This might come in handy someday"
Car with dashcam left at the dealership..